To view the FORMED Augustine Institute&apos;s streaming videos click on the icons below. To log in, use the Parish Code found in the bulletin. 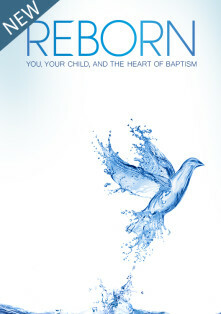 If you are a parent desiring to have your child baptized, please call the Parish Office to register at 913.492.7318. Usually there are two godparents, though you may have only one. At least one must be a practicing Catholic, confirmed, and 16 years of age or older. The ordinary minister of Baptism is a bishop, priest or deacon. Baptism is only received once. Its effect removes original and actual sin, causes new birth and incorporates into Christ. It is the doorway into the Church. Catholics should seek forgiveness through this sacrament regularly, at least once a year, and whenever in the state of serious sin. The effect of Penance is forgiveness of sin, reunification with the Church, cleansing of conscience, and restoration of grace. For a guide to Confession, click here: http://www.usccb.org/prayer-and-worship/sacraments-and-sacramentals/penance/upload/Bulletin-Insert-Penance-ENG.pdf. Confession times at Holy Spirit are Tuesday at 5:15-5:45 p.m., Saturday at 2:30-3:30 p.m.
Catholics, in the state of grace, have the opportunity to receive the Eucharist daily. The effect of the Eucharist is intimate union with Christ and spiritual nourishment. This medicine of immortality gives us stregth against sin and removes our venial sin. Second grade Holy Spirit and School of Religion students prepare for their First Communion. For more information, contact Maureen L. at 913.492.7382 . If you are an adult and would like to receive the Eucharist, please contact Cathy M. at 913.492.7318. The ordinary minister of confirmation is a Bishop. The required state is baptized, but unconfirmed, and in the state of grace. Confirmation is only received once. The effects of Confirmation are a sign of consecration, spiritual seal, completion of baptismal grace, and full outpouring of the Holy Spirit. Confirmation is a two year preparation program for the parish youth, usually in Seventh and Eighth grades. For more information, contact Doug L. at 913.492.7382. For adults, contact Cathy M. at 913.492.7382. A priest or deacon is the minister of marriage. Spouses must be a baptized man and woman with no impediment to marriage. 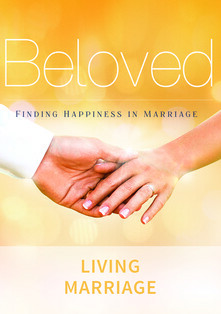 The effect of marriage is a perpetual and exclusive covenant partners whereby the two become one flesh. To schedule a marriage, please contact the Parish Office at 913.492.7318. Marriage arrangements must be made at least 6 months in advance to complete the necessary paperwork and requirements. Annulments: If you need to apply for a declaration of nullification for a previous marriage, please contact Fr. Ric at 913.492.7318. For information on annulments, click here: http://www.foryourmarriage.org/catholic-marriage/church-teachings/annulments/. A priest or bishop is the minister for the Sacrament of Anointing. The required state is one who is seriously ill, at the point of death, before a serious operation, or for elderly whose frailty becomes more pronounced. Anointing of the Sick is repeatable. The effects aree forgiveness of sins, grace to face final trial, spiritual preparation to die, and if God&apos;s will, physical healing. Please call the Parish Office at 913.492.7318 if someone is hospitalized or ill at home and would like us to visit with Holy Communion and/or receive the Sacrament of the Sick. A bishop is the minister of Holy Orders. The required state is a baptized man who has been called for ordination by God; with the exception of permanent deacons, the ordained must be celibate. The effect is a special relationship to Christ to lead and serve the Church an indelible spirtual character is imprinted on the soul. If you are considering a vocation in Holy Orders, you can visit the Office of Vocations at the Archdiocese and contact at Rev. Scott Wallisch 913.647.0303. You can also click here: http://www.kckvocations.com.